It was the marshmallows. That big huge bag of pretty soft purple marshmallows. 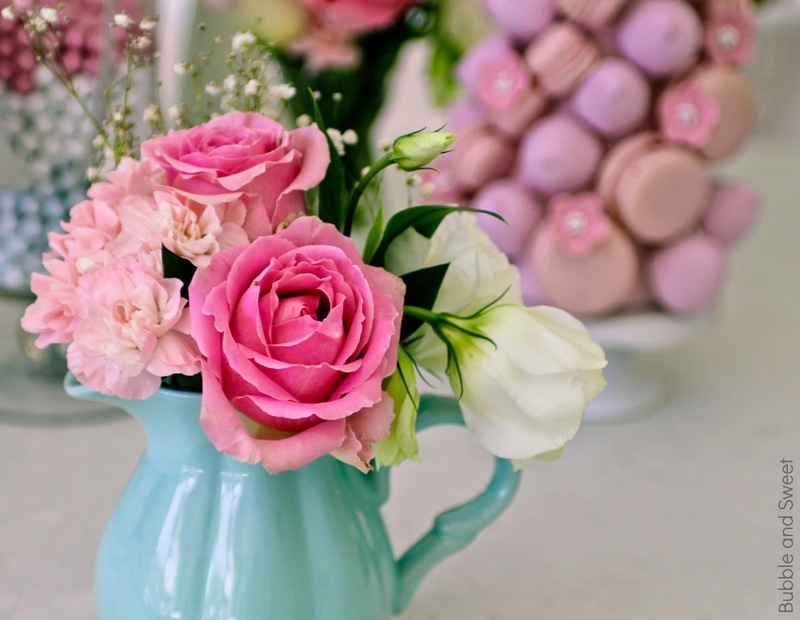 They were not the right colour for my party table and I didn't end up using them, but they were oh so dreamy and pretty. 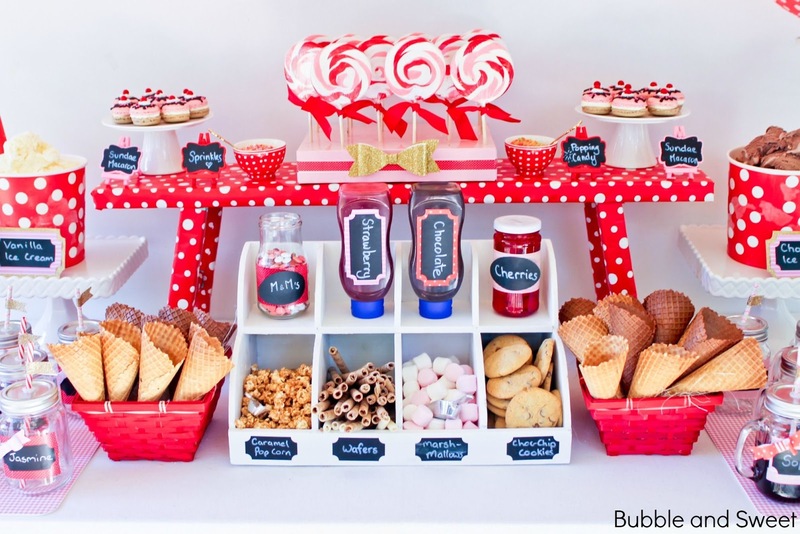 I had to use them and although they did not match Sweet's party table they did perfectly match all the left over treats. I was in a living dream of swirly pink sweets and each afternoon the kids would come home to another version of leftovers. 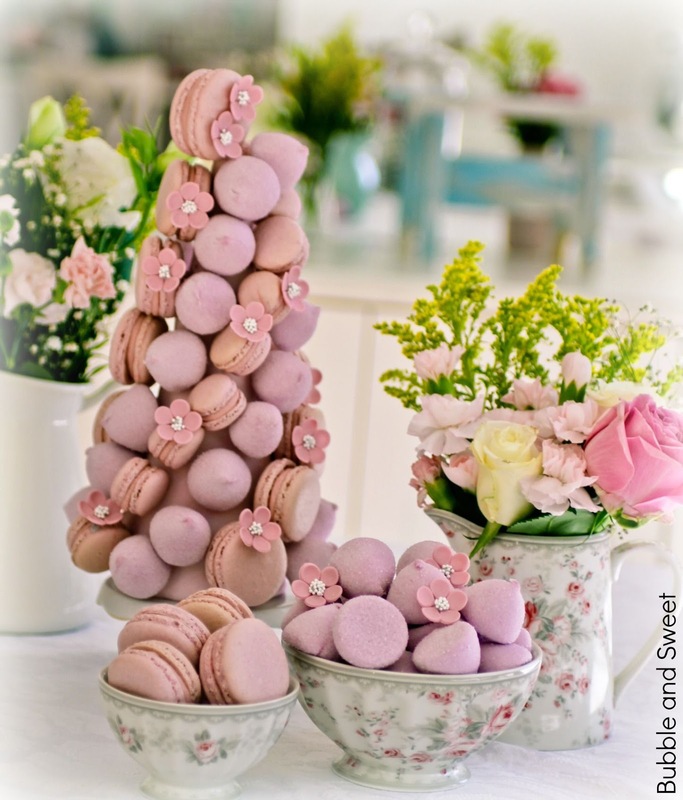 This macaron and marshmallow tower was just so pretty. I think it was even prettier in real life and it would make the sweetest addition to a dessert table. 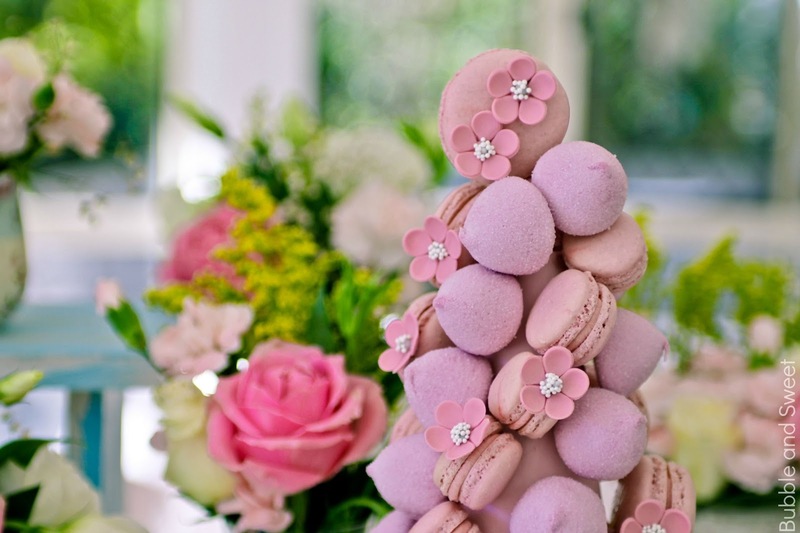 The best part about the marshmallows in the tower, apart from the fact they look pretty and are a lovely colour and texture contrast is that they are very cost effective compared to macarons. 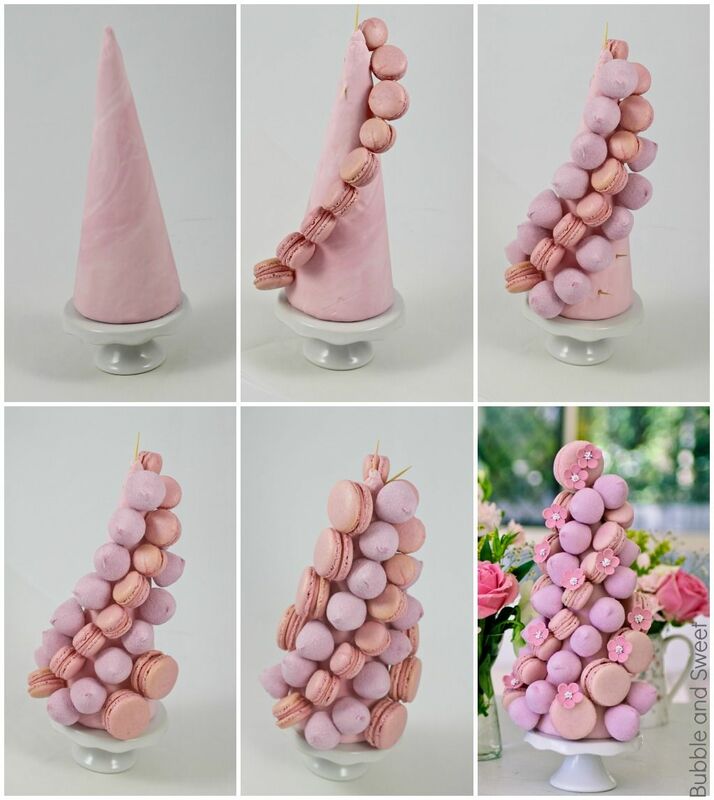 It actually uses quite a lot of macarons to make a tower, way more than you might suspect so the marshmallows are a great filler. 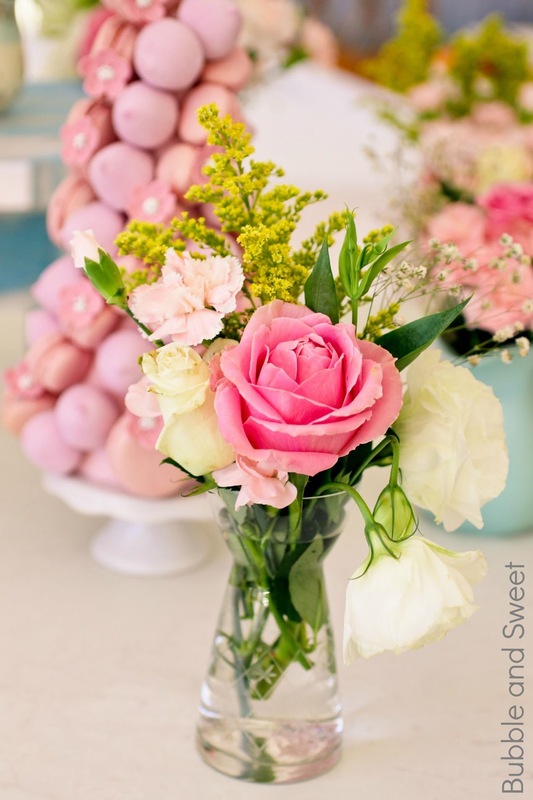 Floral pink and grey bowls and jug in picture Greengate.Simply Sweet Home Facebook or Email info@simplysweethome.com.au new Australian stockist for details. Make sure everyone eating from the tower knows there are toothpicks being used and check kids marshmallows before they eat them to ensure sticks have been removed. I decided to have a smaller macaron layer sideways and then regular sized macarons lying flat side out. Cut toothpicks in half and starting at the top push a toothpick into the cone through the fondant. Stick a macaron onto the toothpick and then repeat the process working your way down in a softly spiraling line as shown in the picture. 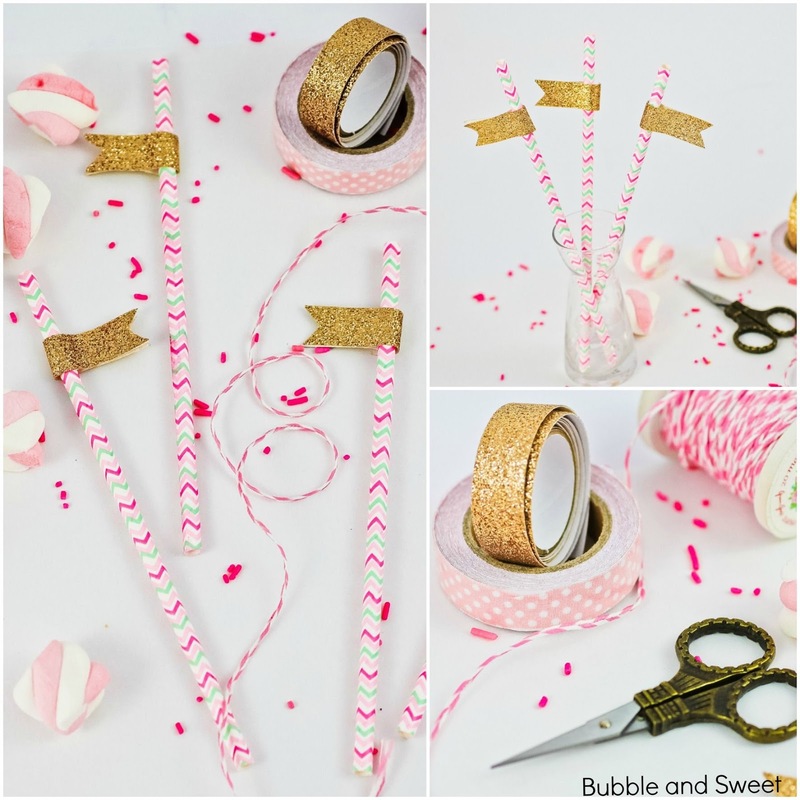 This will be the front center of your tower so make sure it is adhered in a pretty even line. Push a whole toothpick into the top point of the fondant covered cone. Starting at the top again attach a layer of marshmallows on either side of the macarons. 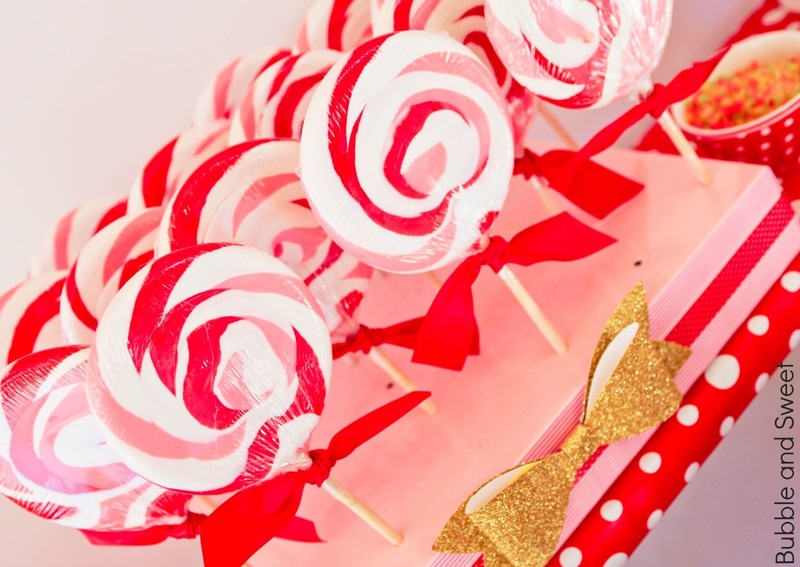 I used toothpicks in the picture, but you can use royal icing# to adhere the marshmallows as the toothpicks can lodge in the marshmallows when being removed. 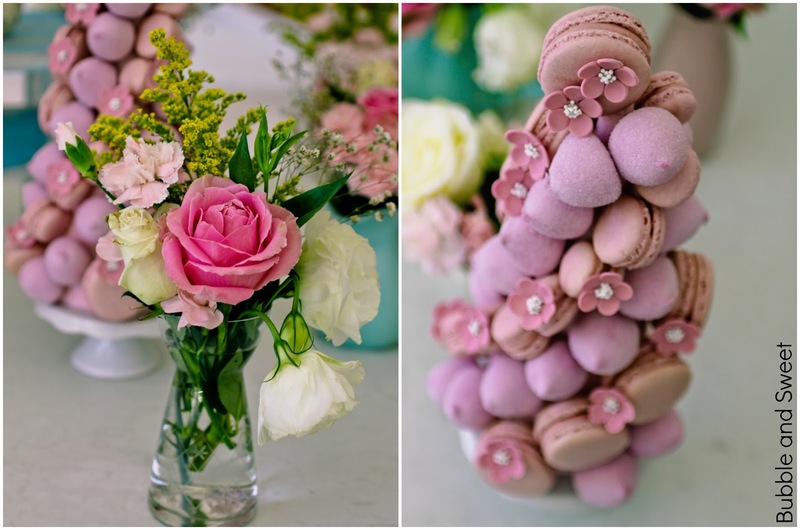 #do not adhere macarons with royal icing as the delicate shells will not easily lift off, toothpicks do not stick to the macarons the same as they do marshmallows. 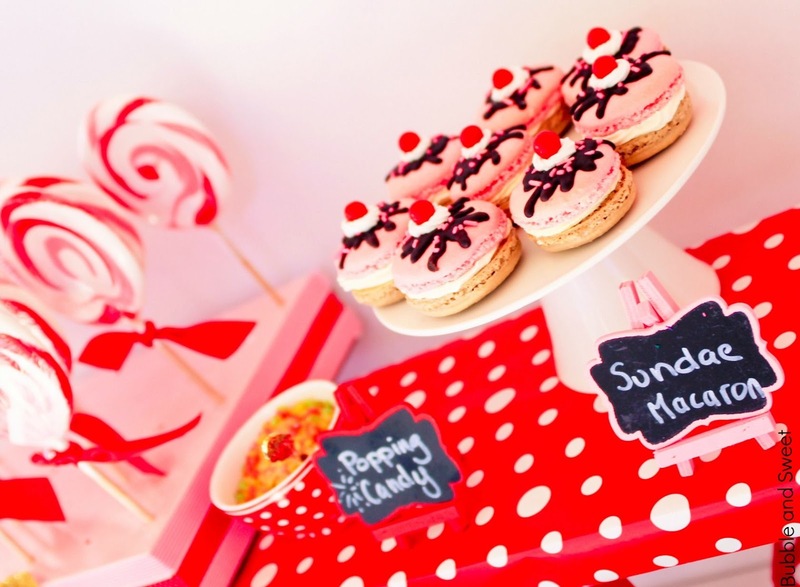 Work a layer of Macarons on each side of the marshmallows. 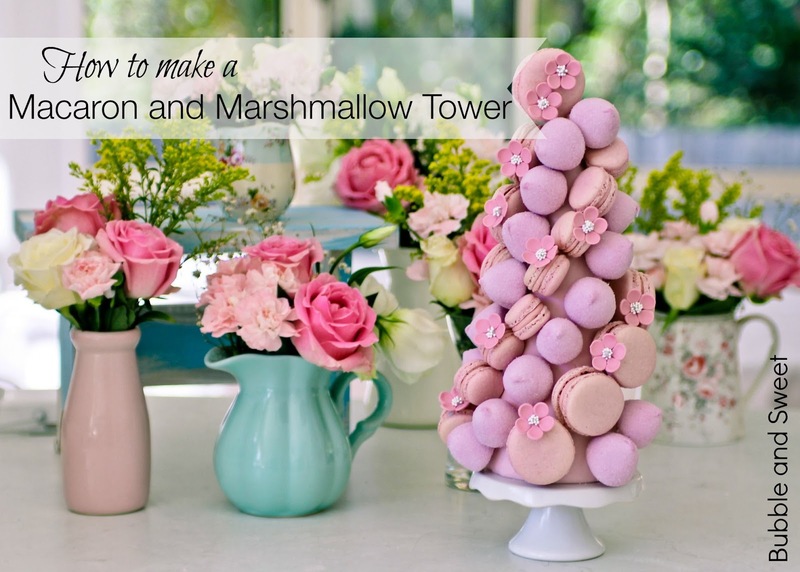 Continue to adhere marshmallows and macarons to the back of the tower. The back of the macaron tower will not be as pretty as the front, but try to work the macarons and marshmallows in a design that looks even. Finish the tower off with a regular sized maracon at the top of the cone (in the toothpick you popped in the top at the start). 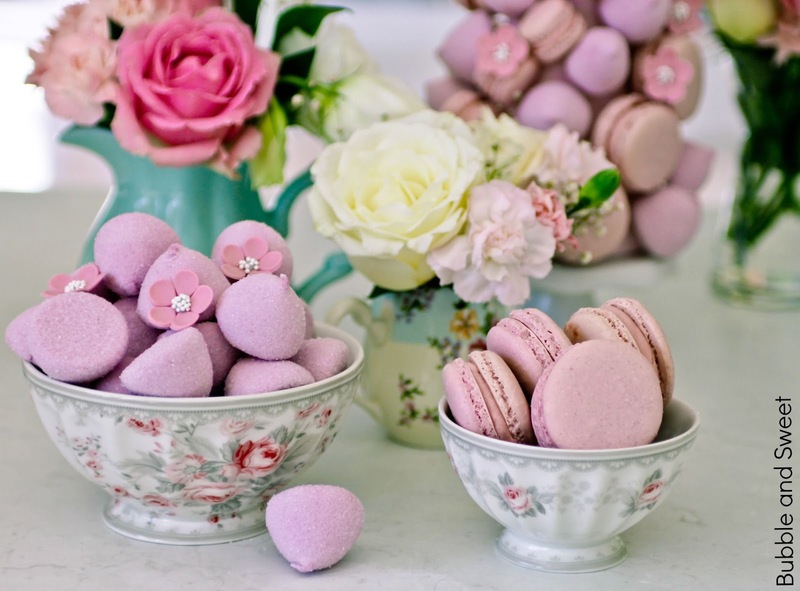 Using royal icing adhere a few sugar flowers to the macarons as decoration. 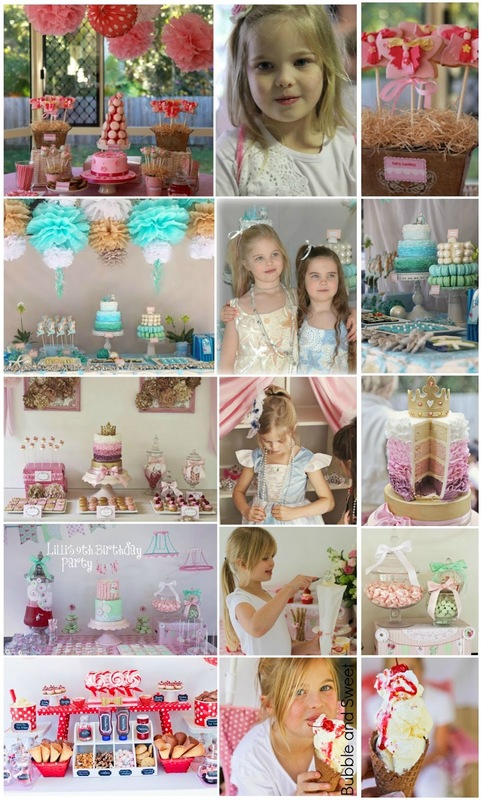 Linda Vandermeer is a blogger, baker, maker and author of the cookbook ' Sweets on a Stick': More than 150 kid friendly recipes for cakes, candies, cookies and pies on the go!. Published in the US the book is available at most online book stores. This post is not sponsored and I have received no financial compensation, however I am related to the owner of Simply Sweet Home. Original Ideas, photography and recipes by Linda Vandermeer do not reuse without permission. 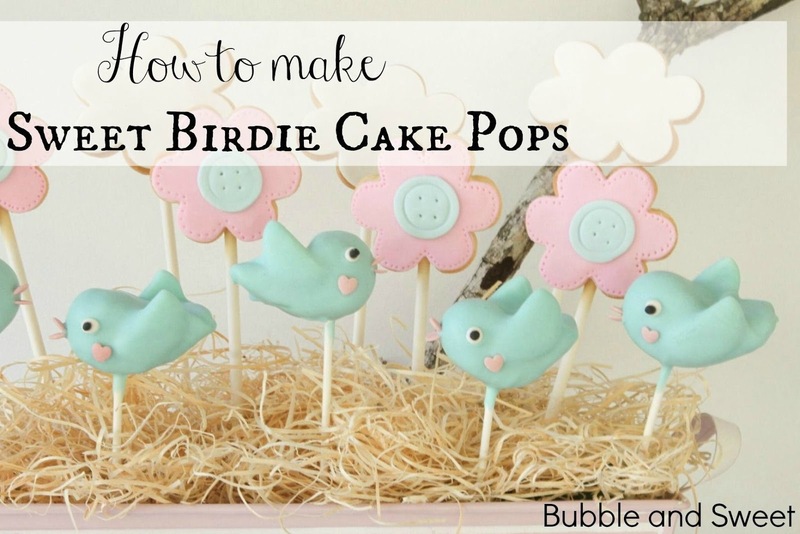 I've got a new free video tutorial up on how to make these super cute bird cake pops. They are actually pretty easy once you see how. 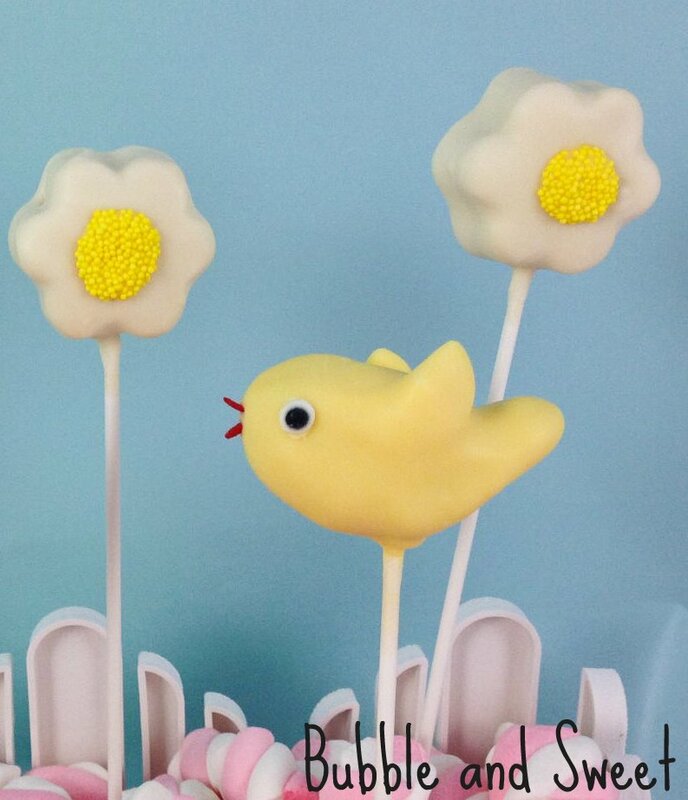 I shape the birds, melt the 'chocolate' showing the correct consistency, insert the sticks, chill, dip and decorate. 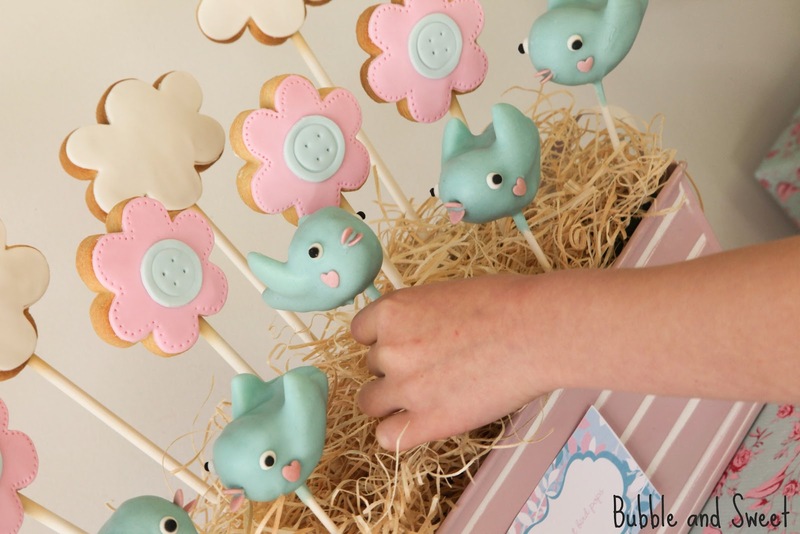 The blue bird cake pops in the picture were originally made for Sweet's 6th birthday party CLICK HERE for more pictures. If you can't find copha try substituting paramount crystals. I use a ratio of 7 parts candy melt to 1 part copha/crystals eg. 70 grams candy melt to 10 grams copha/crystals or 7oz candy melt to 1 oz paramount crystals. Well that's it. It's over. I blinked and this year Bubble was too old for a pretty ruffly party (#see disclaimer at bottom). It's ok I'm not bitter I did get 5 years worth of adorable parties out of her. But we all know the parties are really for me, and so I didn't pay any attention to that firm voice. Sadly I also didn't pay enough attention to the passing days. While I was having my inner debate, would we party or wouldn't we, was I going to cave and pay big bucks for one of those new trampoline-lazer tag superdooper fun places the decision was made. Procrastination was my enemy and my friend 'cause we all know leave it too late and the only time left to book in at one of those party places is early Sunday morning when none of the kids will be able to turn up anyway. OK decision made do it at home on a budget but the problem was these kids are 10 years old boys and girls. It's a seriously hard crowd to please, I had no idea what to do. Then while I was shopping I spied a couple of huge bottles of water balloons with 500 balloons in each for $8 and despite the fact it is the middle of winter here another decision was made. We live a few doors down from a park which is pretty quite mostly and it would be a perfect spot for the kids to have their crazy time * see cleaning up note below. Then the real negotiations started. 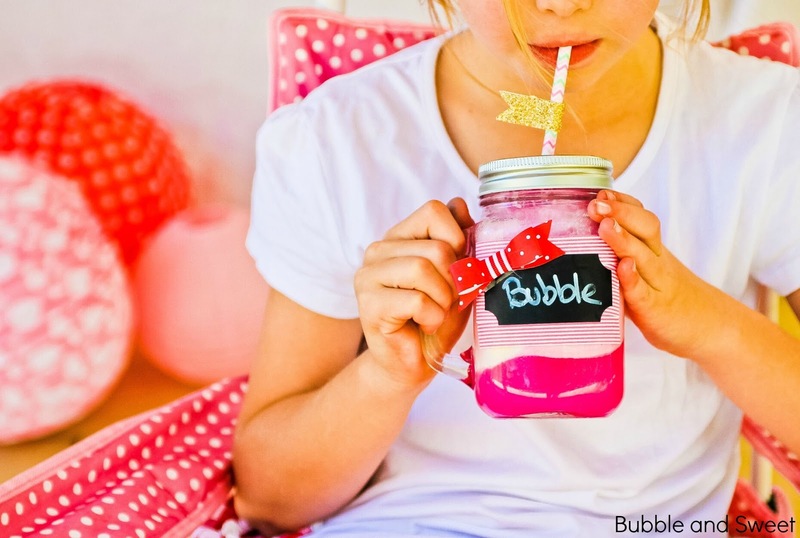 Bubble was adamant that as there were boys attending the party should not be pink, or pretty or ruffly. I took a deep breath and decided to go all Disney on her. Yup I let it go. 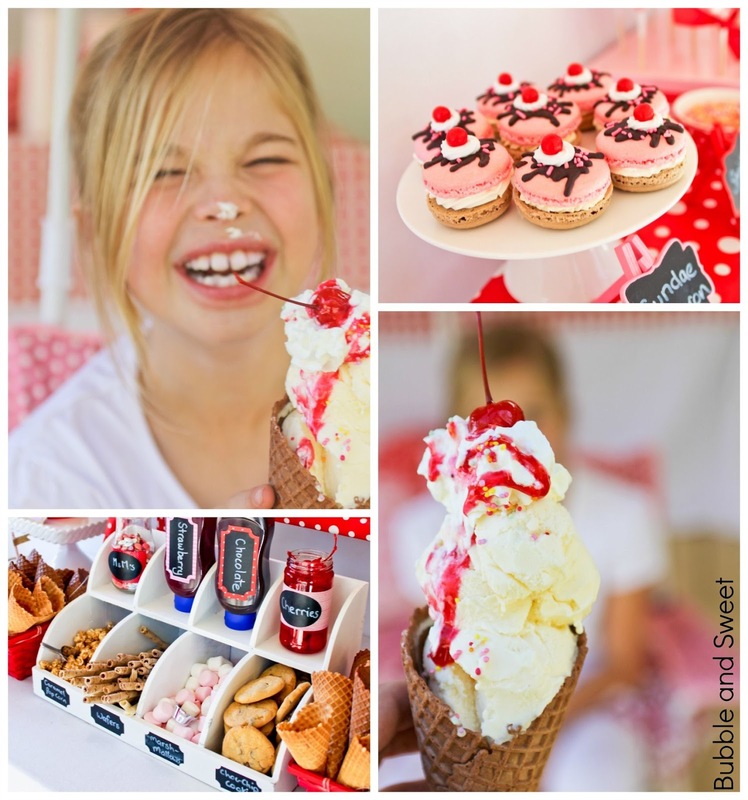 We decided to have a make your own ice-cream bar, which was a bit sad for me as no real baking or decorating but good for me too as no real baking and decorating. It was so relaxed in the lead up to the party. Well pretty much super relaxed until I messaged my SIL about her daughter's birthday party which was about a week and a half away and found out that my niece's party was actually 3 days away and Bubble's party was 10 days away. Anyhoo it all worked out in the end, Bubble was super happy surrounded by her friends, it was a lovely sunny day warm enough for the water play but cool enough the ice-cream did not melt and everyone seemed to have fun. As I said I was pretty relaxed and mostly everything was store bought with the exception of the macarons and chocolate chip cookies (for making ice-cream sandwiches). The most popular stuff was the popping candy and the cream filled wafers. 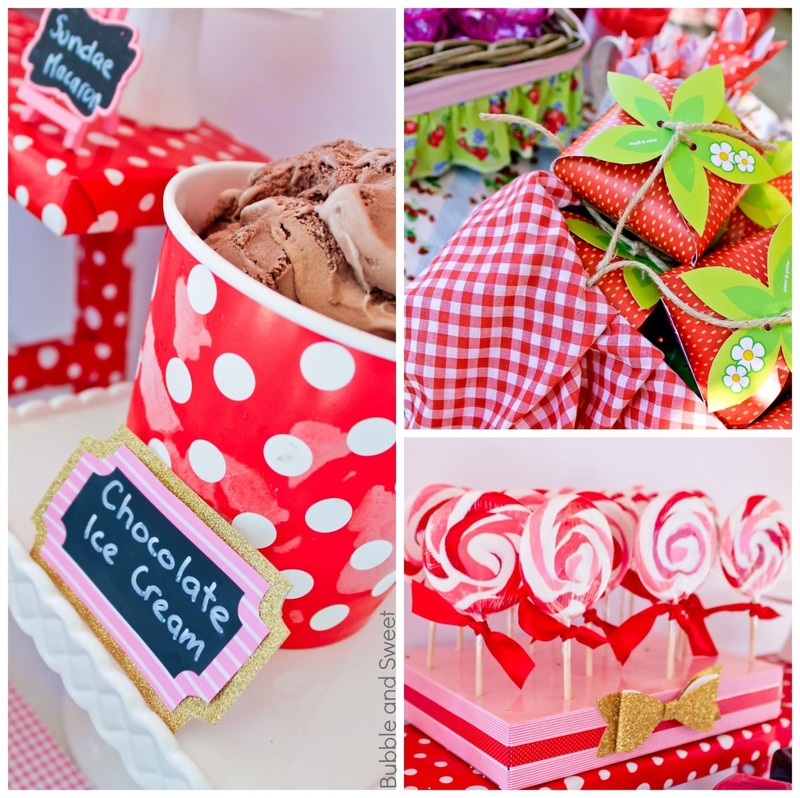 Center table/riser - that's my mint green stand covered in red polka dot wrapping paper. 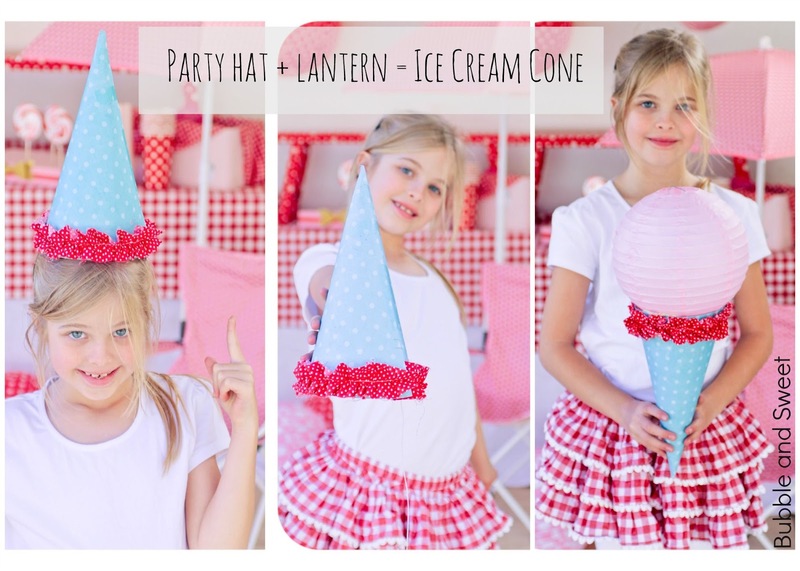 Red and white polkadot buckets for ice-cream from Choice discount/dollar store $2.50 for a set of 3. Mason jars with straws - from K-mart discount department store for $2 each. 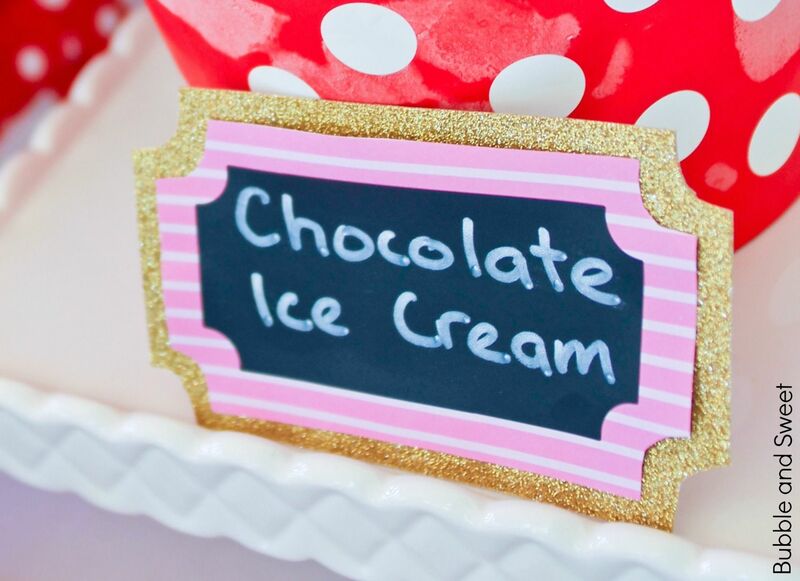 I decorated them with washi tape and chalkboard stickers I picked up from another discount/dollar store. I let the kids take these home if they wanted as part of their loot/treat bag. Lollipops - $1 each from Kmart. 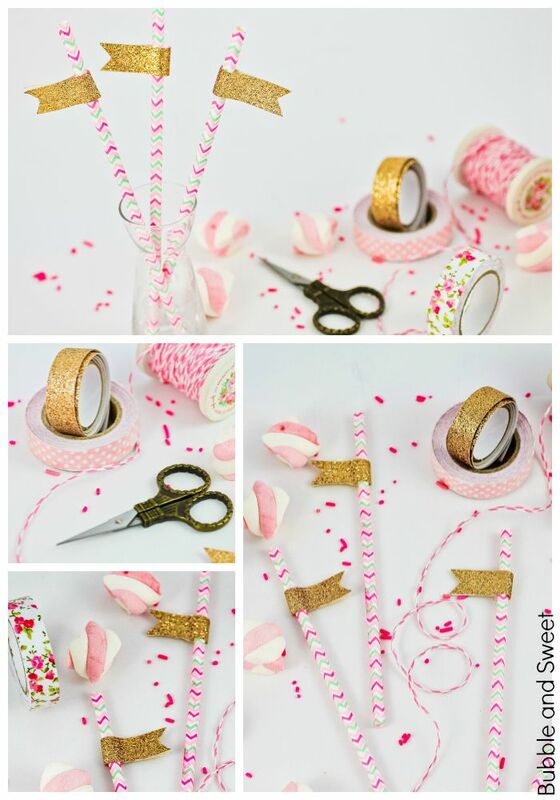 I stuck them in that pink stand I borrowed from my SIL's party and tied with a bit of red ribbon I had sitting around. They were part of the kids take home treats. White dispenser - this is actually a cutlery holder I've had for a while - I picked it up at Mollegaarden HERE. Then I stuck on some of those chalkboard stickers. Photo booth - We started the party off with a homemade photo booth using an instant/Polaroid camera and dress ups we already had. Although it was fun it was a bit less successful than I thought it would be. Maybe it's more of an end of the party thing, it took everyone forever to pick what they wanted to wear. It was good however to keep the kids occupied while everyone else was turning up. 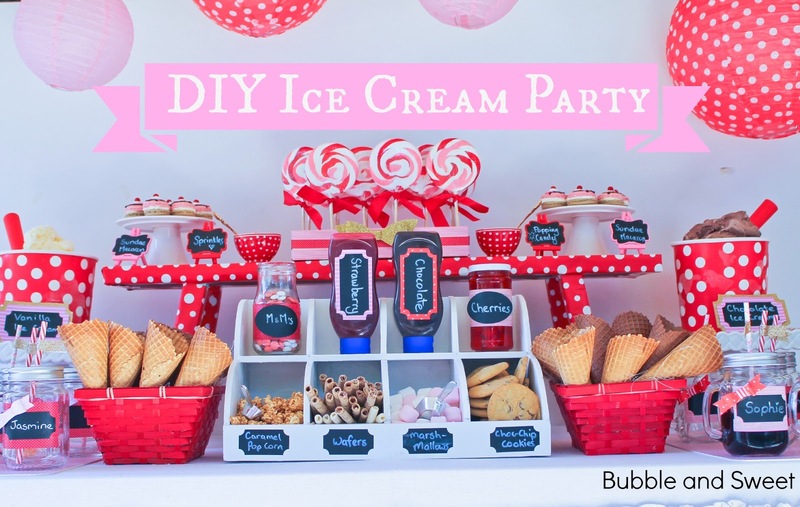 Make your own Ice-cream bar - I'm calling this an activity as they kids got to make their own sundae or ice-cream soda or ice-cream sandwich or pretty much whatever.The kids enjoyed this, apparently whipped cream in a tin is big with 10 year olds. Water Balloon tag at the park. Mr Sweet spent about 4 hours filling water balloons. The kids spent about 10 minutes using them all up. But then they kept playing at the park so it was all good. *Water Balloon clean up. We gave everyone a bag and told them the one with the most used water balloons would win a prize. Yes we really did that, the kids knew it was clean up but they were super good natured about it and we cleaned the park up in no time. Lunch - we headed back home and the kids had lunch of sushi and sandwiches. #disclaimer I make no promises that it is really, really over I am an eternal optimist. Original photography by Linda Vandermeer do not reuse without permission. Note some of the previous party photographs in this post were taken by other photographers, please do not reuse those photos. Some times I make mistakes. OK, OK I know I make mistakes all the time. But sometimes I make mistakes that require me to come up with a solution that ends up being kinda cool and worth sharing with everyone. Like last Sunday, when I baked a packet mix cake and did not follow the instructions properly because I used a smaller tin, split the mix into 2 cakes and was lazy and did not line the tin as directed. In my mind I was thinking that if I used two 6 inch tins I would end up with a lovely tall cake instead of a regular 8 inch flat cake. But at least 2 of those things I did wrong can result in the cake cooking quicker than usual which can mean overly domed (peaked) cakes. And that is what happened, it was my fault - I know it - no use getting upset over it. 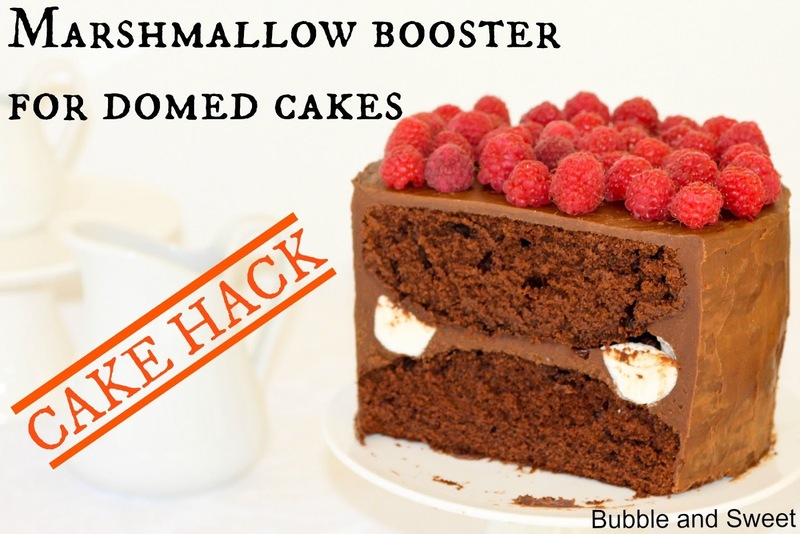 But I didn't want to cut off the tops to level the cakes, it was just too much to lose and it was too big a space to just fill with plain ganache, so I came up with this marshmallow booster cake hack idea. 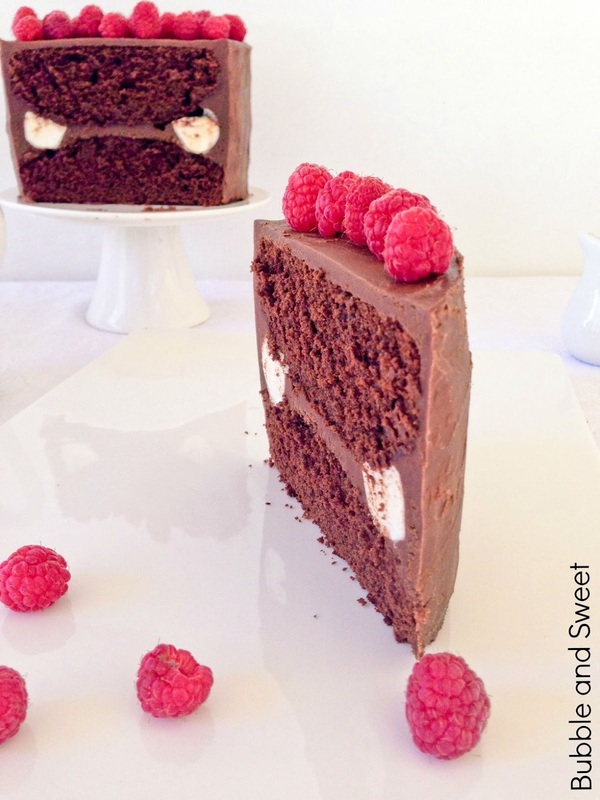 I placed the cake flat side down on my cake stand, put a thin layer of chocolate ganache over the domed top of the cake and then stuck a ring of marshmallows around the edge of the cake. Then I filled in the rest with ganache* and squished them together with the other cake flat side on the top. 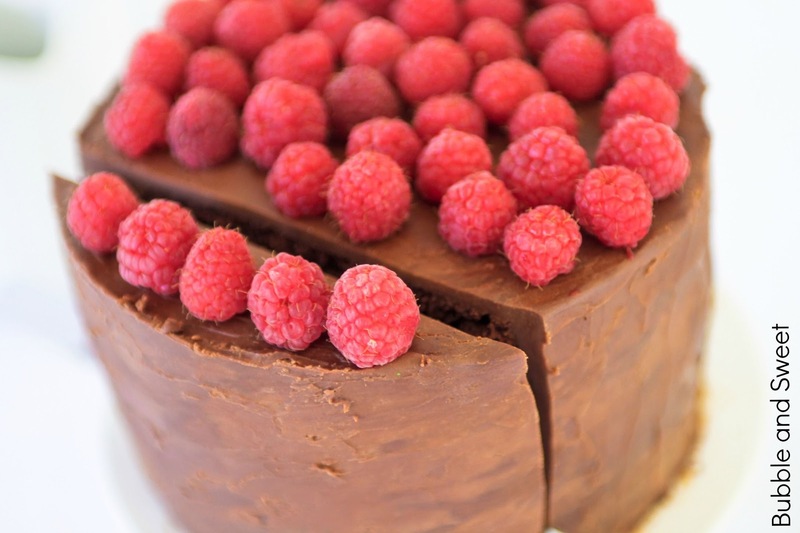 I chilled the cake for a bit and then covered the sides and top with the remaining ganache using a kitchen knife. 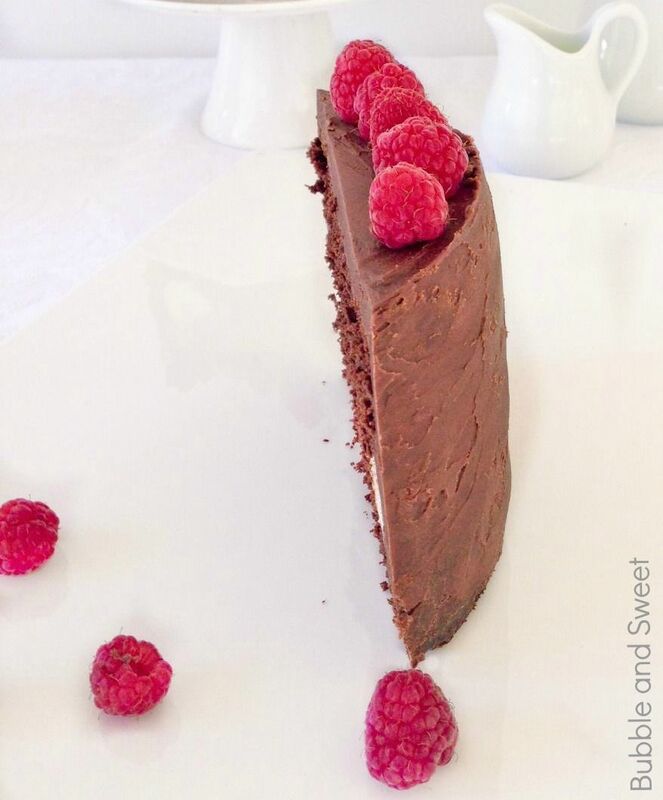 *to make ganache melt 2 parts chocolate to 1 part cream (so for example 200g (8oz) chocolate to 100g (4oz) cream) in the microwave at high heat for a minute leave to rest and then whisk until smooth. Heat another minute or 2 if the mixture is not smooth and then whisk again. 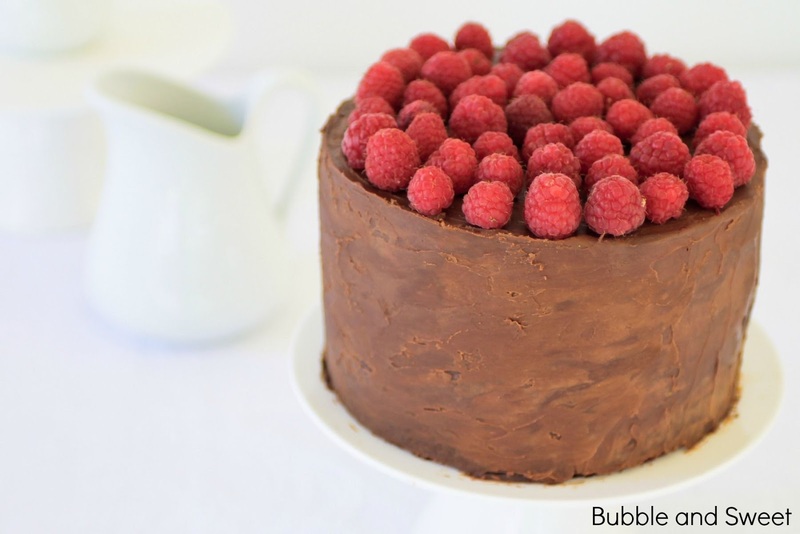 I decorated the top with some raspberries but you can do what ever you like. 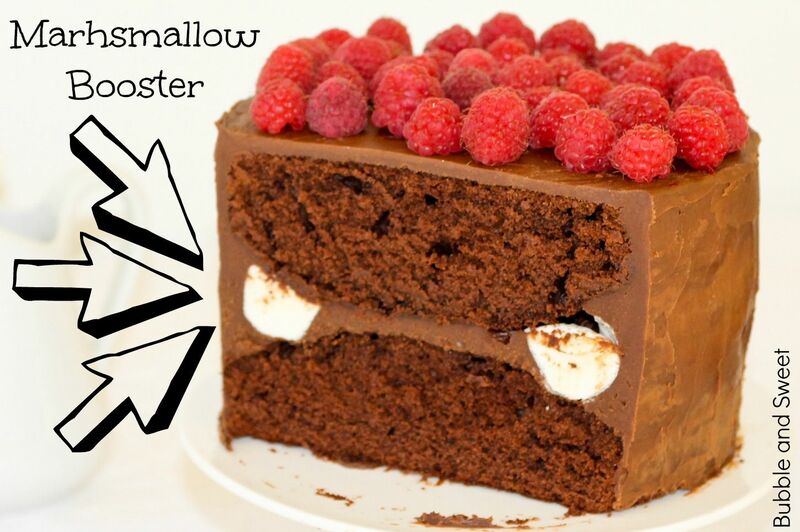 It was a pretty good save if I do say so myself, the marshmallows are more economical than chocolate and not as heavy and dense, plus to the kids it seemed like I was doing something exciting. Original Ideas, photography and recipes by Linda Vandermeer unless otherwise stated do not reuse without permission. 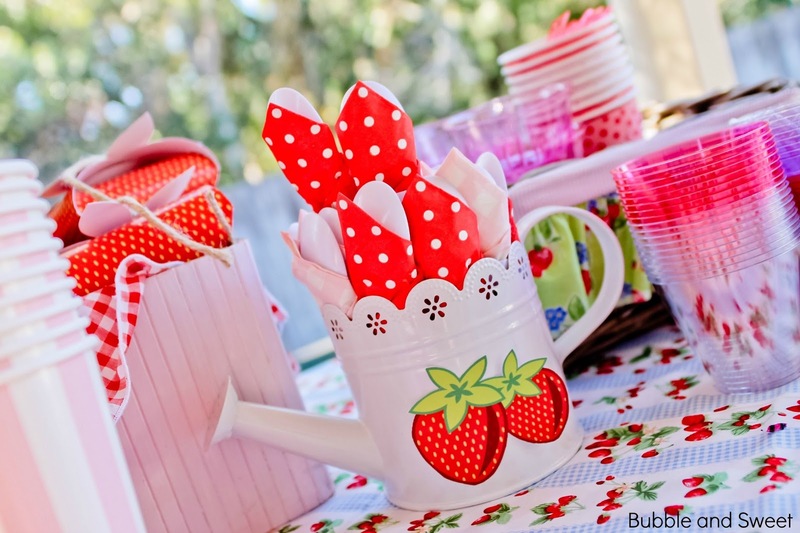 Bubble's birthday party was last weekend. 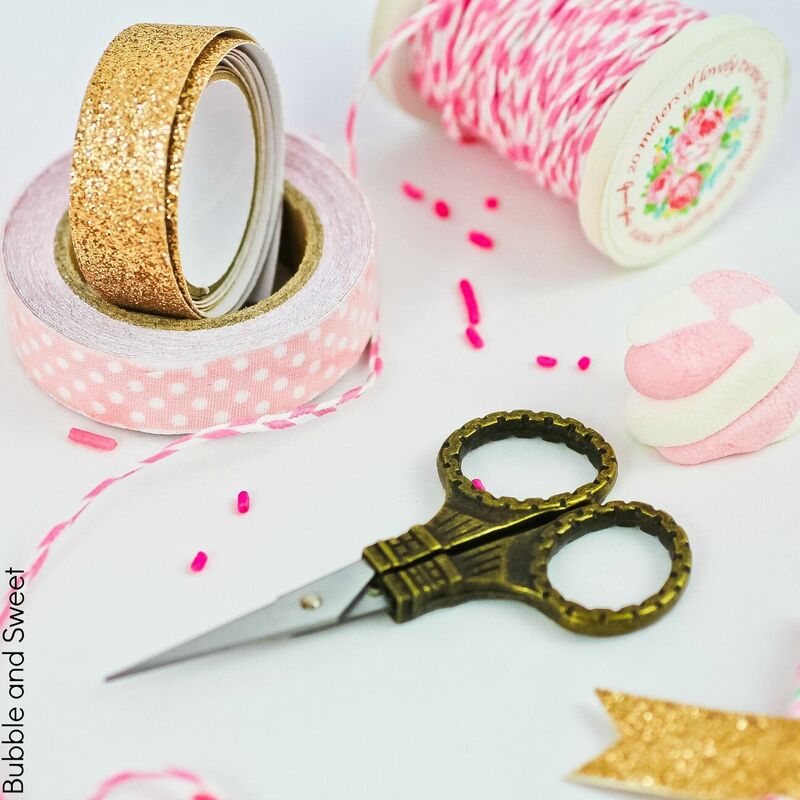 It was a fun budget birthday organised in under 2 weeks which I will be sharing as soon as I sort out the photo's. 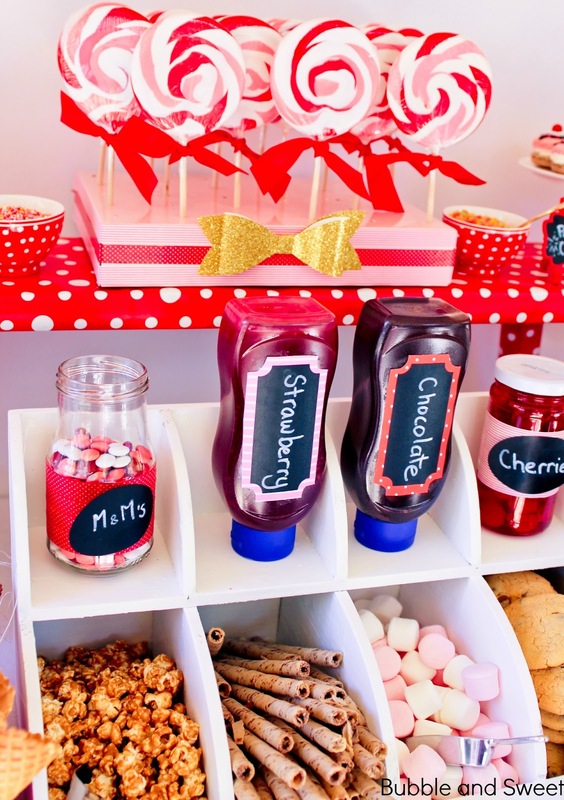 In the meantime here is a quick bit of diy decorating that I did for her party. 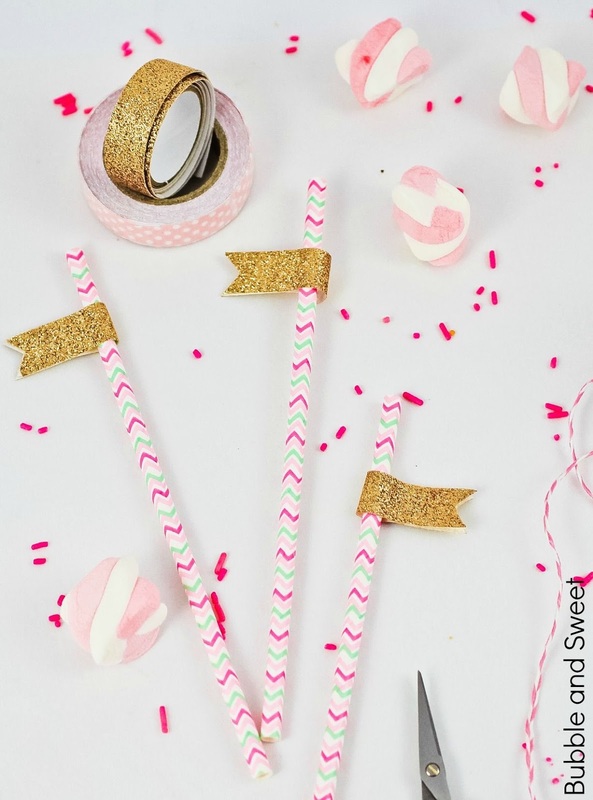 It's so pretty you could even use it for a grown up party. 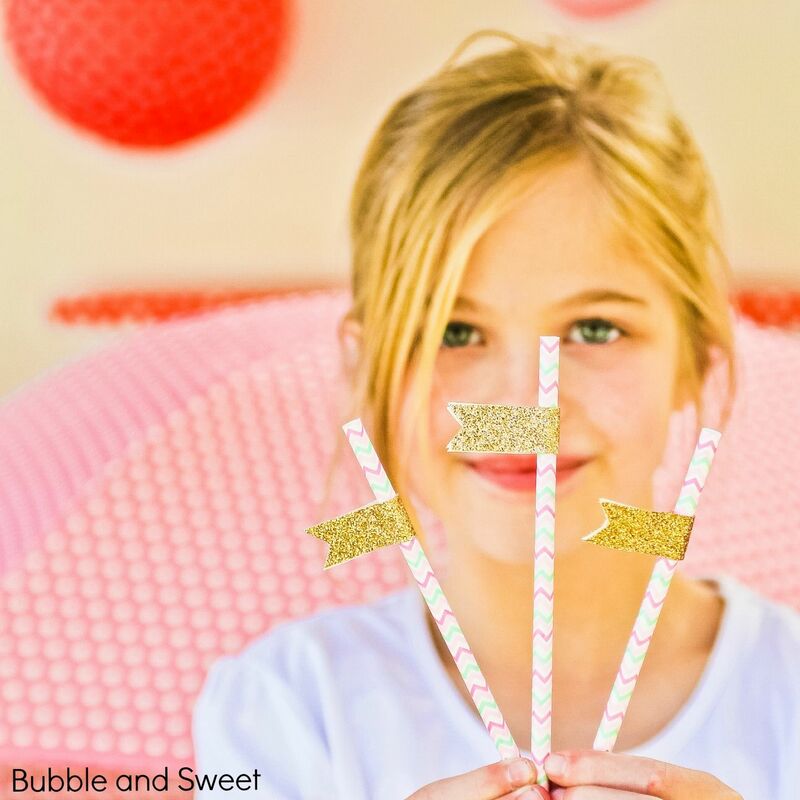 I made up a bunch of gold glitter straw flags for the party which looked pretty fabulous considering they cost a few dollars for the whole lot. 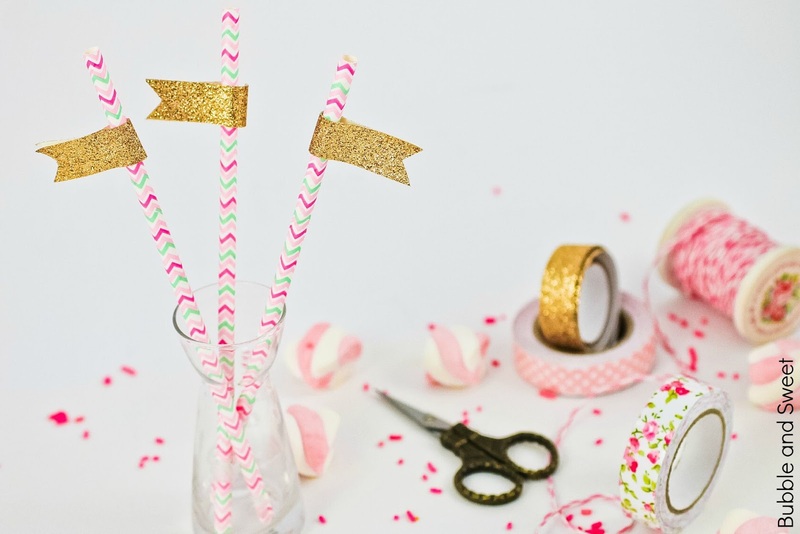 Yup $2 for a pack of those cute chevron straws and $1* for a roll of gold glitter tape. Plus next to no time. I'm not the first person to do this, my SIL did this glitter tape at my niece's birthday party plus last year I did pretty much the same thing but used floral tape instead of glitter. But it is soooo pretty I had to share the pictures. Original photography by Linda Vandermeer do not reuse without permission.